Warmth and water-resistance for ultimate comfort. 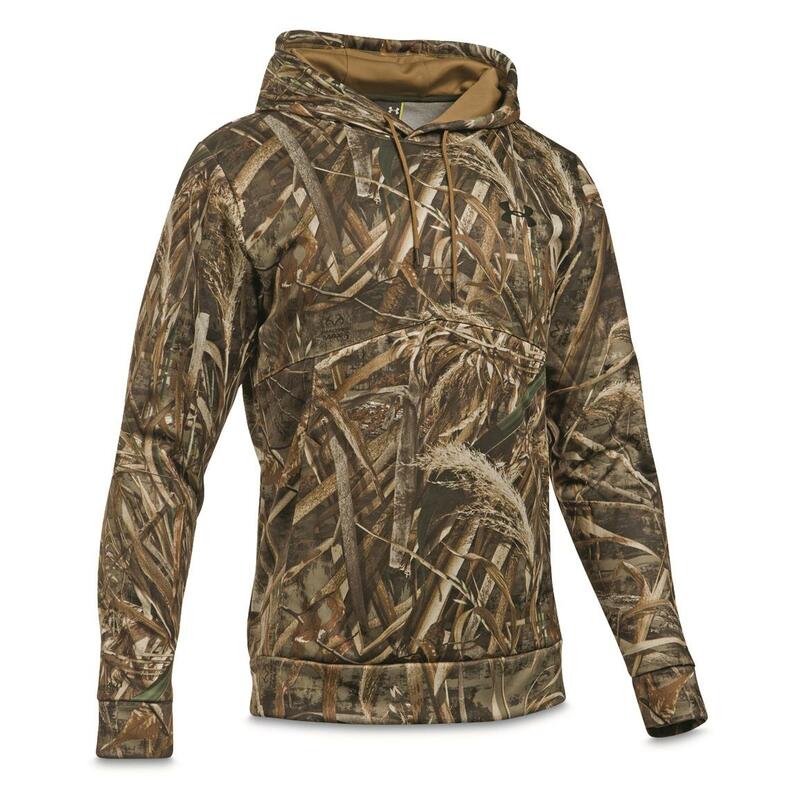 Nobody does "tech" fabric like Under Armour®, and they nailed it yet again with the Midseason Camo Hoodie. It's made from new Armour® Fleece that combines a soft, brushed inner layer with a smooth, fast-drying outer layer. The outer layer is treated with Storm1 water-resistant finish that keeps water beading off WITHOUT sacrificing breathability. The inner layer features ColdGear® to help take the edge off the cold. ColdGear® Infrared technology puts a soft thermo-conductive coating on the inside of the fabric that absorbs and holds body heat to keep it where it belongs…on you. Plus, it wicks moisture away to keep you dry. All without adding extra weight or bulk. 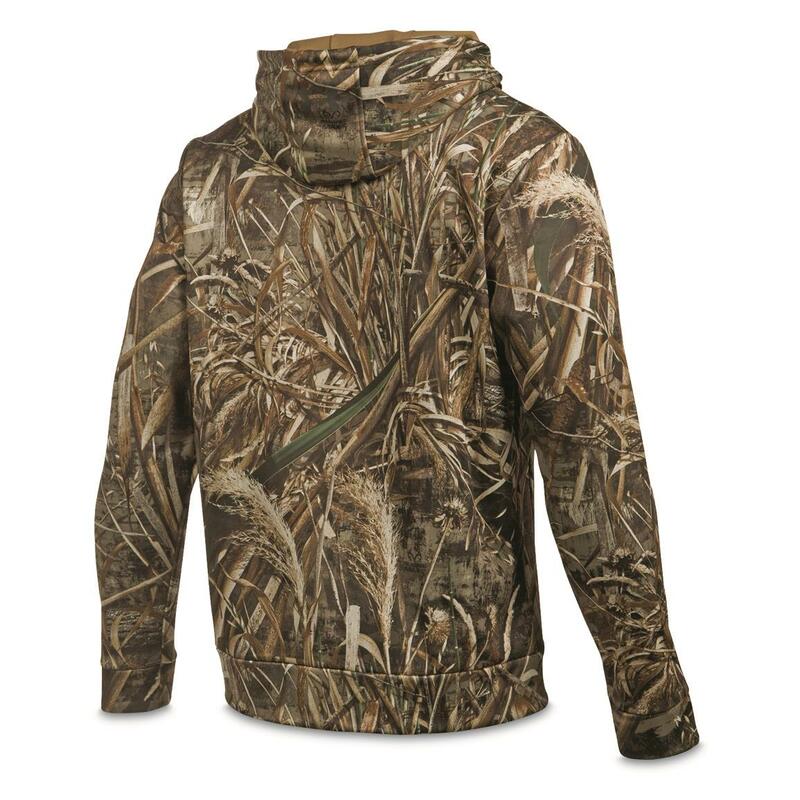 Whether on a waterfowl hunt or just cruising in the truck, top Under Armour® technology elevates this Hoodie above all others.